As part of its continuing build up to put in a stronger 2016 campaign, Manor Racing has announced the signing of former Ferrari engineer Pat Fry. The Englishman will join the team to provide engineering consultancy as it gets its 2016 challenge underway. “We are extremely fortunate to have Pat on board to help us hit the ground running with our exciting new technical package", said Dave Ryan, Racing Director at Manor Racing. 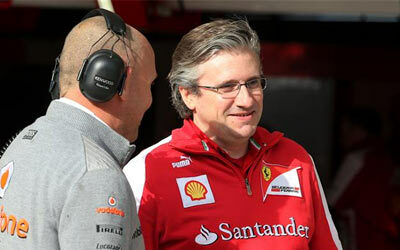 The news follows last week's announcement of the team hiring Nikolas Tombazis, also a former Ferrari man.